Since its launch four years ago, the G502 has become one of Logitech G’s most popular gaming mice, and it’s easy to see why. It’s built for exceptional performance and it’s packed with advanced features designed to help you win, whatever your game of choice happens to be. But the best is getting even better with the all-new G502 Hero. 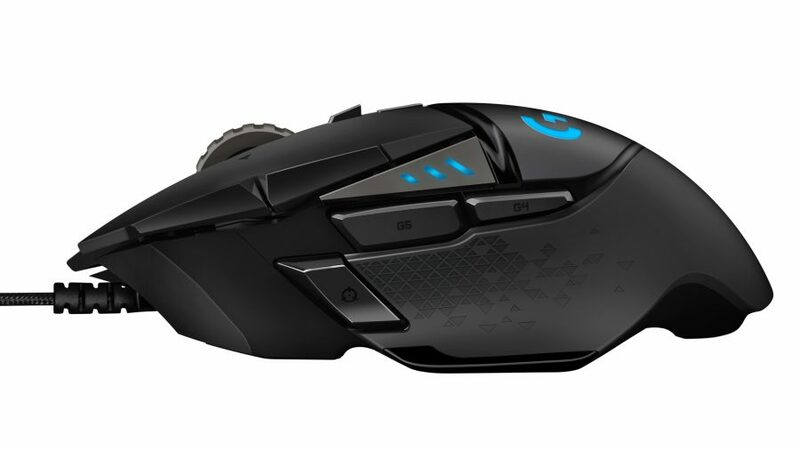 The previous G502 is a solid piece of gaming hardware, but that hasn’t stopped Logitech G from giving it a serious upgrade. The brand new G502 Hero has just touched down, and while it might look familiar due to its iconic G502 shape, inside it’s had a major overhaul that pushes the limits of gaming performance. The secret behind the G502’s vastly improved performance is its new sensor. It packs Logitech G’s Hero 16K sensor, designed to deliver unparalleled responsiveness and accuracy over the previous G502 sensor. Breaking it down into numbers means this: the Hero 16K goes up to 16,000 DPI, 400 IPS, and has zero-smoothing. 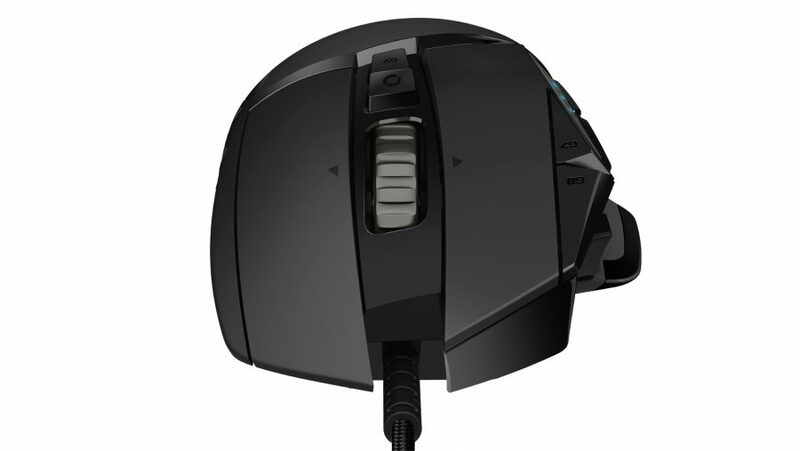 So no matter how hard you push the G502 Hero it’ll translate your every mouse move into on-screen action perfectly. And because you don’t always want all the DPIs, the G502 makes it incredibly easy to dial things in when you need a little extra precision. Its DPI Cycle button enables you to switch sensitivity in-game with a single press. And, to take things further, there’s also the G502’s DPI Shift, which is designed to help you pull off the most ludicrous long-range shots by softening the natural shaking of your mouse hand. The G502 is the ideal way to give your gaming skills an instant power-up, and it has plenty more tricks up its sleeve. If you like to have loads of controls right at your fingertips then the G502 is ready for you with no fewer than 11 programmable buttons that you can set up to deliver all the combos and command sequences you need at a single button press. If you tend to rely on the two main buttons, they’re ready for all the punishment you can dish out. Upgraded switches mean you’ll get a consistent, reliable click action, tested to 50 million clicks so you can be sure the G502 won’t let you down in the middle of a game. You even get a dual-mode hyper fast scroll wheel, enabling you to switch weapons or whizz through inventory updates at lightning speed. There’s much more to the G502 than its breathtaking performance, though. It also scores top marks when it comes to comfort and convenience. 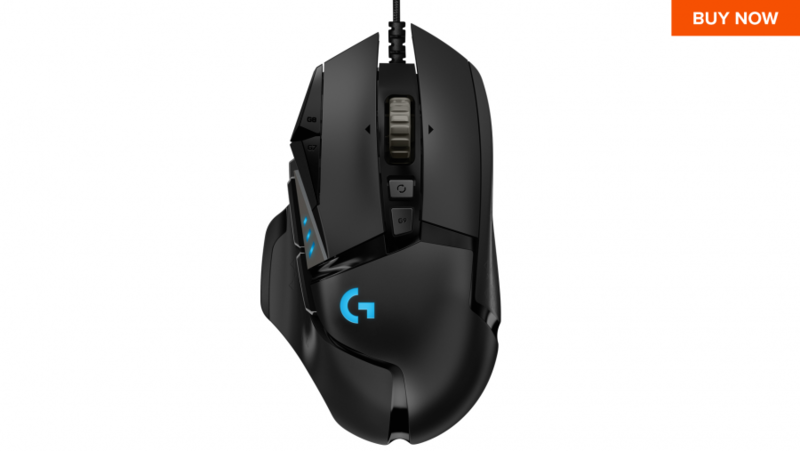 If you need your mouse to feel absolutely perfect in your hand then the G502 is ready for you. It comes with five optional 3.6 gram weights that you can use to adjust its weight and balance until it feels just right for you. It also boasts rubber side grips, ensuring that no matter how heated the action gets, the G502 won’t ever slip out of your hand. With its braided cable, you can also rest assured that it won’t snag against desktop items or get tangled up in transit. For that extra helping of illuminated eye candy, the G502 Hero features Lightsync RGB lighting that you can customise using Logitech Gaming Software (LGS) and even sync with other Lightsync-enabled hardware to put your own personalised stamp on your gaming rig. With onboard memory that’ll store up to five profiles, you can take your lighting settings and button bindings with you wherever you go. In short, the best just got even better. It’s available to own now from Logitech G. Don’t you think it’s time to give your favourite gaming mouse a welcome upgrade?